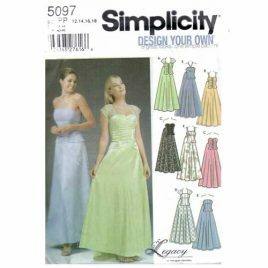 Close fitting, lined, a-line, bias dress above mid knee or evening length has shoulder straps, front drape and back zipper. Pattern for scarf included. 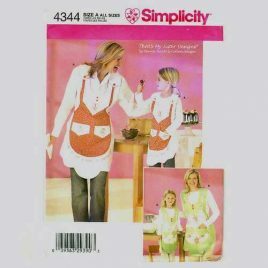 Suggested fabrics: crepe de chine, tissue faille and crepe backed satin. Scarf: georgette, chiffon, cut velvet and novelty sheers. Perfect for formal events or cocktail parties. 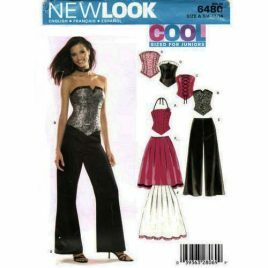 New Look 6480 Corset top skirt and pants pattern in sizes 3/4 - 13/14.